Chennai Super Kings won the match against SunRisers Hyderabad by 12 runs on 26th September 2013. The match stayed to be a good entertaining match till the end. It’s the 10th match of World T20 League 2013 and held at JSCA International Stadium Complex at Ranchi. Hyderabad won the toss and elected to field first. Chennai Super Kings were set to show their batting performance first. Murali Vijay and Michael Hussey came to the crease as openers. Murali Vijay wicket was taken at the second ball of the match by Steyn. Vijay departs without making any runs. 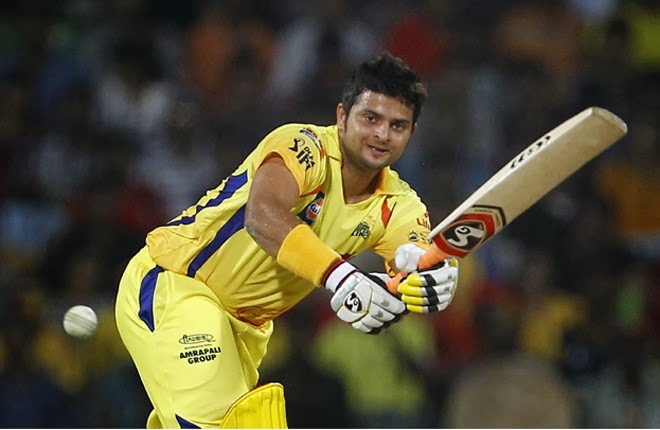 Chennai fans were entertained by Suresh Raina with his 84 runs holding 9 fours and 1 six. 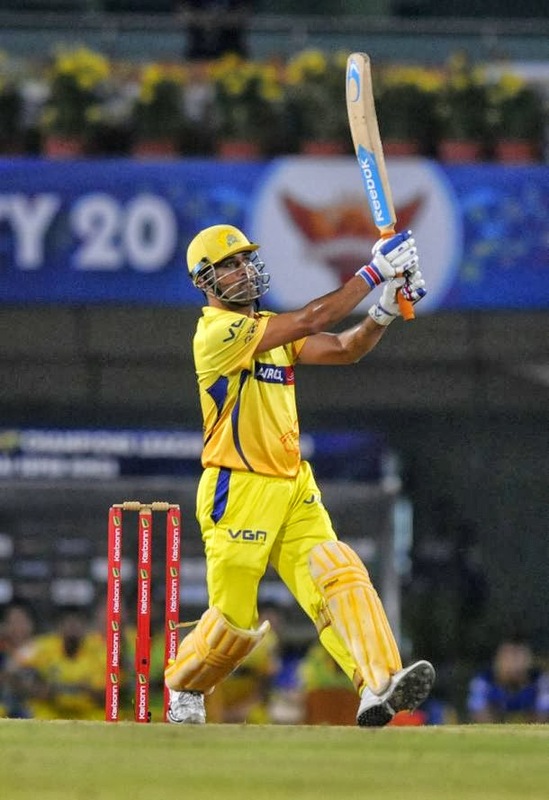 As the skipper of Chennai Super Kings, MS Dhoni gave a blasting performance with his 63 runs just for 19 balls which holds 8 sixes and 1 four and stood undefeated. This made India to put a good score of 202/4 in 20 overs. In Hyderabad bowling, Steyn and Duminy took 2 wickets each. Dhoni today marked a record of scoring fastest 50 in CLT20. Dhoni made 50 runs in just 16 balls which holds 6 sixes and 1 four. The previous record was set by Kieron Pollard for 18 balls. To be noted, Dhoni made 5 sixes in an over in this fastest 50. Hyderabad came to bat with the target of 203. The openers of Hyderabad were Parthiv Patel and the Hyderabad Skipper Shikhar Dhawan. They gave a very good starting for Hyderabad and stood together for long time. The first wicket fallen at 10th over. After first 10 overs, Hyderabad slowed down. 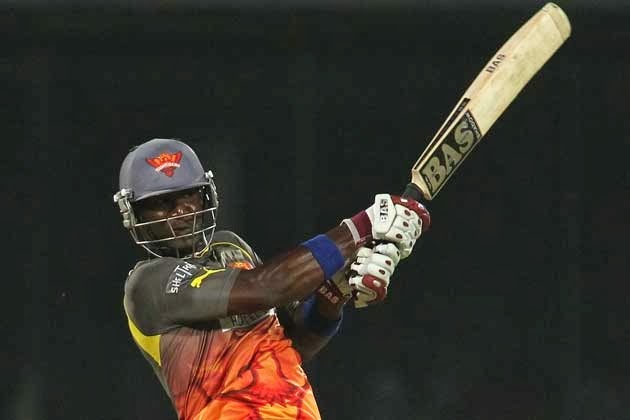 Then Darren Sammy turned the match back in the hands of Hyderabad with his great hits, but failed to make his way. Sammy lost his wicket with 50 runs in 25 balls that holds 5 sixes and 2 fours. Finally Hyderabad innings came to end for 190/7 in 20 overs and thus losing the match to Chennai. In Chennai bowling, Bravo and Holder took 2 wickets each. Whereas Raina and Ashwin took 1 wicket each. Another 1 wicket by run-out made by Raina. Chennai today showed a bit bad performance in fielding. They missed many catches at critical stages but made their way finally. Dhawan and Sammy catch were missed at critical stages. Finally Chennai won the match by 12 runs. Man of the match was taken by Suresh Raina for his excellent 84 runs and 1 wicket. In Group B, Chennai Super Kings stays at the top of the table with 8 points. Readers, How was the match? Share your views.